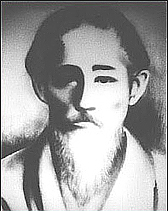 The history of Okinawa budo kaisai began in the late 19th century. 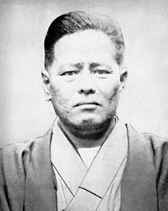 Master Kanryo Higaonna was an expert of te (the traditional Okinawan fighting art) and Chinese boxing. He learned a theory of kata from his Chinese master. He used it to make a new type of te called Nahate. He passed on this theory to his disciple Master Chojun Miyagi, who called it kaisai no genri. Kaisai signifies the work to find hidden techniques in kata and genri the principle. Kaisai no genri is the key to find secret techniques in kata. Miyagi used the theory to improve Nahate. He designed a karate teaching method for the first time in the history of Okinawa Karate and invented teaching materials such as new kata, warm up exercises, supplementary exercise and so forth. He called his art Gojuryu karate. Unfortunately, he did not complete it because of his sudden death. Seikichi Toguchi who learned the secret theory from Miyagi utilized it to finish his master’s project. He created many new kata including kata done to music, preset sparring exercises, supplementary exercises, etc. He made a karate teaching system with those materials called Shorei-Kan karate. 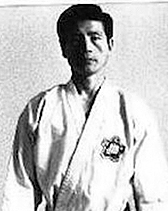 Toguchi taught kaisai no genri to Tamano, who used it to create subjects such as a competitive sparring system called shiai kumite, several preset sparring systems and supplementary exercises. He added them in the program of Shorei-Kan karate. Hiagaonna, Miyagi and Toguchi strived to make their arts true budo of Okinawa by doing the work of kaisai. Toshio Tamano in following kaisai no genri, like those before him has named this evolution of Okinawan Goju-Ryu to Okinawa budo kaisai. called it Nahate. He died in 1915. Miyagi was born in 1888. He joined Higaonna’s school when he was 14 years old and devoted his life to improve his teacher’s Nahate. Consequently, he created Gojuryu karate and strived to propagate it in Japan as well as abroad. He was the only karate master of Okinawa who had the vison on the future of karate and is considered a savior of Okinawa karate. He died in 1953. Toguchi was born in 1917. He began studying Gojuryu karate at 16. He created a karate teaching system, Shorei-Kan karate, which his teacher Miyagi asked him to do before his demise. Toguchi went around the world to promote his karate teaching system. He wrote several books such as “Gojuryu karate” (Ohara publications, 1974), “Gojuryu karate II” (Ohara publications, 2001). He died in 1998. Tamano was born in Tokyo in 1942. He joined Shorei-Kan karate dojo in 1960. After graduating a university in Tokyo, he left to New York in 1969 to propagate Shorei-Kan karate and Shoreikai Okinawa kobudo in the U.S.After he taught his arts in his Rockefeller center dojo for more than 10 years, He and his family moved to Milan, Italy in order to introduce his arts in Europe. They settled to France after five years in Milan. 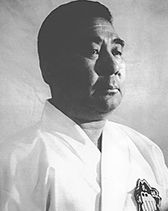 Tamano wrote several karate and kobudo books in Japanese, English, Italian, etc. He is currently conducting his organization Shorei-Kan Europe in France. Shihan Lenzi has traveled to study, demonstrate and teach Shorei-Kan Karate throughout the USA, Guatemala, France, Italy and Japan. Shihan Lenzi currently holds the rank of 7th Dan Black Belt in Karate and 6th Dan Black Belt in Kobudo. 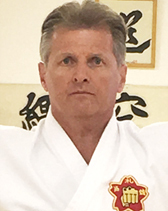 Shihan Lenzi has published many articles on Goju-Ryu Karate in a number of international magazines and has assisted in the writing of several books including Advanced techniques of Shorei-Kan Karate published by Black Belt Magazine.